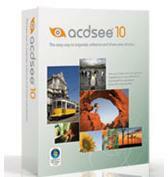 Outstanding Object Inspector, many property editors and Dataset Inspector are included into the Dream Inspector pack. Surely the most impressive is TObjectInspector ?the control like Delphi Inspector with pack of extra features. Among them are optional grouping of properties (instead of an alphabetical listing), help window for each property and others, so the users can access any application objects and modify their properties.